In 1995 after twelve glorious seasons of Murder, She Wrote, the favorite show of senior citizens everywhere, came to a close. After being moved to Thursdays in direct competition with NBCs historically successful Must See TV line up the show lost the good majority of its ratings. At the end of its eleventh season it enjoyed being the eighth most watched television show but would fall to the fifty-eighth in the final season. At this point CBS decided that they were sick of all their viewers dying of natural causes and wanted to start to skew the demographics of the network to the younger crowd and would cancel the show at the end of the 1995-1996 season. In the series finale the shows story line would coincidentally or maybe not so coincidentally cover that same topic. It is clear when you watch the finale that the writers and producers were not planning on this being the finale episode of the series. It runs just as every other episode of the program did throughout the twelve years of being on the air. 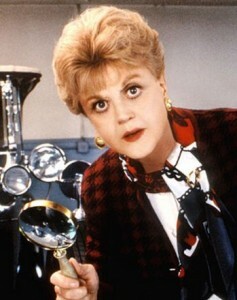 There would be a murder, Angela Lansbury would sniff around the crime scene and eventually solve the case for the seemingly clueless police detectives. This episode was much of the same and could be the worst series finale in the history of television with the motive of the killer being questionable at best. Luckily for us CBS put out a few made for TV movies of Murder She Wrote in the late nineties and early two thousands so we could all get our Jessica Fletcher fix. Angela Lansbury is still kicking around as I type this so we might luck out and get one more taste of everyone’s favorite whodunit series before she leaves this earth. So get your Netflix ready, call your Grandma and get ready to hit play! From May 16th 1996 here is the series finale of Murder She Wrote with an episode called “Death By Demographics” (Season 12, Episode 24).